Running a business can be a hectic and stressful lifestyle. Never seeming to have time to complete tasks let alone have time for family and friends. ”why did I do it!” are the words most commonly spoken from these dazed business owners that accelerate the aging process but justify it with self-imposed restrictions that demand to work a 24-7 schedule. Rushing around like a ticking time bomb creating nothing but obstacles to success. However, it’s not the case for everyone. A 10-year study carried out by McKinsey & Co on elite business executives reports a whopping 500% increase in business producibility. This means that in theory, you could work Monday and take the rest of the week off! And be just as productive as working 5 days a week. How did they do this? The answer is, they create a flow state inducing work environment. That’s like having your whole team in the Zone, focused only on the target. Each person working on their assigned tasks with the spirited knowledge that they are part of a unified team with a clear objective. It’s like your business is the Jamaican relay team during the Olympics and you’re Usain Bolt! “Stealing Fire” by Steven Kotler and Jamie Wheal reported a new $4 trillion high-performance revolution fueling the Navy’s SEAL Team Six and top Silicon Valley and Wall Street Executives to the top of their game - but the information hasn’t spread yet. Silicon Valley Executives like Eric Schmidt, Larry Page, Sergey Brin and Elon Musk are purposely practising to reach altered states of consciousness, or a “flow state” to achieve peak performance. A common stomping ground for these flow hackers is burning man. Burning Man is an annual gathering that takes place at Black Rock City in Black Rock Desert, Nevada. The event is held on 49 acres with 5000 attendees is dedicated to “the 10 Principle of Burning man”. In 2004 event Co-Founder Larry Harvey revealed the spiritual of the gathering by creating the 10 Principle of Burning man; Radical Inclusion, Gifting, decommodification, radical self-reliance, radical self-expression, communal effort, civic responsibility, leaving no trace, participation, Immediacy. Attendees of this harmonic community organism, include the likes of; Eric Schmidt, Larry Page, Sergey Brin, Elon Musk and Richard Branson. These top 1% go to burning man because they know and utilize the flow state to solve problems and find a solution which can only be found in flow. They’re aware that these opportunities are more easily found in a heightened state of group flow. And that’s what burning man is all about. A unified community pointing in a direction of evolving our abilities in consciousness. Using the Flow State as food and fuel. So what is the flow state? Commonly described as the optimal state of consciousness where a person feels and perform his/her best. When a person enters the Flow state, his/her focus is on completing the present task and all the distraction around disappears. Both your action and awareness merges and ego disappears when you are in Flow. The concept of time is distorted in the Flow state; people who experienced it describe that time either “goes so fast” or “slows down”. You are in the pocket of excellence, a creating machine, a problem solver, a go-getter. You are that person you know you are. In a poll by Gallup, about 71% of American workers are disengaged and an average person in a business spends less that 5% of their day in Flow. If employees in a business can increase the time spent in flow by 15-20%, the productivity in a workplace can double! So how do you enter the Flow state in business to optimize your work? Below are three triggers to hack into Flow State in Business. To know the complete list of 17 Flow Triggers, read here. The Flow state in business allows you to focus and taking risks aligns your focus into the present task. In sports, risk can result in losing a game or even serious injury, but in business, it might not be that severe. Our brain cannot tell the difference between physical consequences and emotional risk, taking social risk is the same as physical risk. So try to speak up in your meetings, share your creative ideas or speak the truth even if it feels uncomfortable. “In Silicon Valley, the idea is to fail fast or fail forward. If you’re not giving employees space to fail, you’re not giving them space to risk,” says Kotler. Engage in rapid experimentation. High consequences will drive flow and you get further and faster. In business, the main idea is to break traditions and routines. The atmosphere around us can trigger flow; novelty, unpredictability, and complexity will get us there. Think outside the box. Don’t go the same route. Techniques that are not traditional demands focus. An instance of a rich environment would be Pixar. The late Steve Jobs intended an atrium in the middle of its office, placing the meeting rooms, cafeteria, and bathrooms around it. As for Steve Job, he artificially created the environmental conditions that massively upped the amount of novelty, unpredictability, and complexity in their environment because people across his departments and disciplines started running into each other and having conversations. As a result, flow innovation and creativity went up. Lastly, this flow trigger happens if you are mindful with all your senses. Action sports require solid concentration; you need to pay attention to your surrounding with your whole body as you become part of the flow of the world. The same happens with group flow state in business. Montessori education is a good example. They promote learning by doing and engaging multiple sensory streams. Aside from playing video games, utilizing our senses is something you can apply in the business world with complete body experiences and mindfulness. Entering the Flow state in business is something we cannot do every time we need it. Flow requires a cycle that includes training, entering and recovery period after experiencing the Flow state. So if you want to get the best result for your business, training and utilizing the Flow state is a must for you. To lead a flow state in business, you must first be in flow yourself. You must know it well and lead from it. 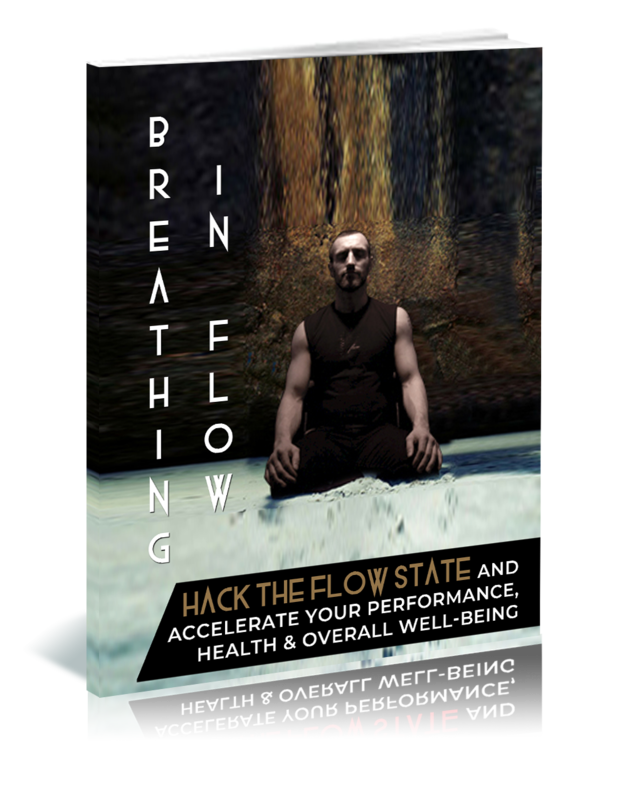 I connection with it, I’m giving away a limited time flow state course package for free. Get yours now!